Molded to fit 90 degree angle at foundation corners. 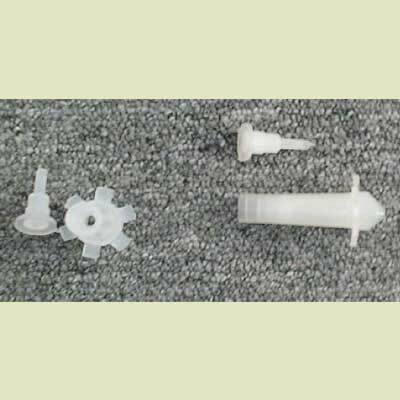 Translucent polyethelene to allow for visual monitoring of material flow. Lock fits with 1/4", 3/8" and 1/2" static mixers.